This week brought a heavy blow to several tribal communities, and no doubt many more conservationists, in the West, as President Donald Trump declared he intends to shrink two national monuments in Utah. Both Grand Staircase-Escalante and Bears Ears national monuments are set to be significantly reduced. The reduction of Bears Ears in particular, which will lose more than one million acres under Trump’s proposal, was a sizable step back for the relationship between the federal government and tribes. 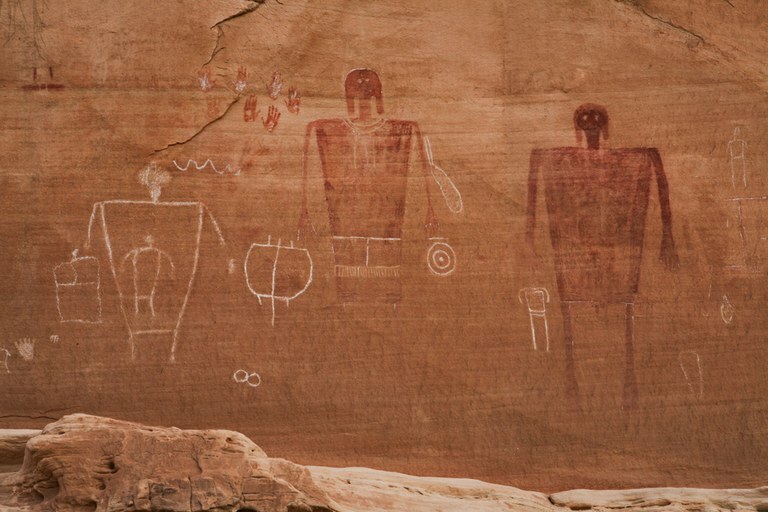 Petroglyphs at Cedar Mesa Grand Gulch are not within the shrunken boundaries of Bears Ears National Monument. Five tribes — Navajo Nation, Hopi, Zuni, Ute Mountain Ute and Uintah and Ouray Ute — created a coalition and lobbied the Obama administration, which designated 1.35 million acres for the monument. In his proclamation designating Bears Ears last year, which discusses in detail how “the region is unsurpassed in wonders,” Obama noted that protecting such a wide swath of land would insure the safety of more than 100,000 objects of archaeological significance. Those artifacts may now be in danger. Also in danger is the Obama administration’s effort to improve tribes’ relationship with the landscape of southern Utah, which was home to many Indigenous people and remains culturally significant to their descendants. Obama’s designation put unprecedented management in the hands of the tribes, seating them with the Forest Service, Bureau of Land Management, and the National Park Service — but giving the tribes the most say in the process. The designation was endorsed by hundreds of researchers, 25 tribal governments, and the National Congress of American Indians. Mark Maryboy, who represented the conservation group Utah Diné Bikéyah, told High Country News at the time the proposal represented “a big healing process for Native Americans.” Trump’s decision, on the other hand, opens old wounds, by taking away protections from vast swaths of landscape. The state of the monument will be determined by these suits, which will take a long time to wend through the courts. If the Trump administration prevails, it would likely mean that future U.S. presidents will make large-scale monument designations — knowing they can be easily overturned. That could have major implications for places of cultural and scientific value to tribes, with more and more landscapes denigrated in service of resource exploitation — the hobgoblin of American history.